Also eaten at home and at work was a recent batch of veggie chilli. I meant to include bulgar wheat as many swear by this creating 'meaty' heartiness in chilli dishes. However, I bought buckwheat by mistake and so used that instead. I will need to make this again to try the bulgar I'd intended, but we all loved this meal so the mistake worked out in the end. Tesco continues to bring out new vegan products and these mini vegan rocky road bites were a pleasing (if dangerous) discovery. They taste as good as you'd imagine. I was also pleased to see 100% nut butters added to their own brand range, at a lower cost than branded alternatives. I tried this 3 nut mix which uses pecans as well as peanuts and almonds. My kitchen has also featured cocoa coconut green tea, which is an unusual combination that I am nonetheless enjoying. Last but not least, we are all enjoying what in England are labelled 'easy peelers'. 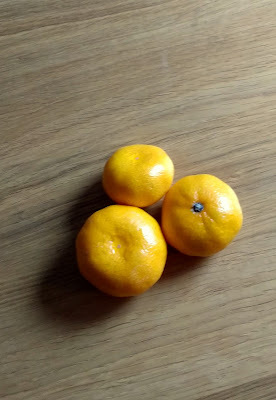 I call them mandarins, although they may in fact be clementines or tangerines. Whatever they are, the fresh citrus flavours are a nice contrast to dark days and cooler weather. Your whole-grain cooking is very tempting. 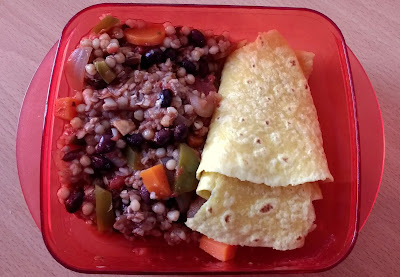 I prefer to make savory dishes rather than breakfast porridges from grains like wheat berries and buckwheat, not counting oatmeal which I view as breakfast food. Putting whole grains in chili is a good idea. I need to remember to cook with wheat berries more often! 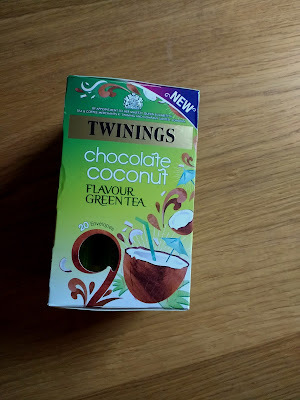 I am enjoying the coconut tea that I picked up from Bath, but not sure If I would like the green tea version as I am not not keen on green tea. 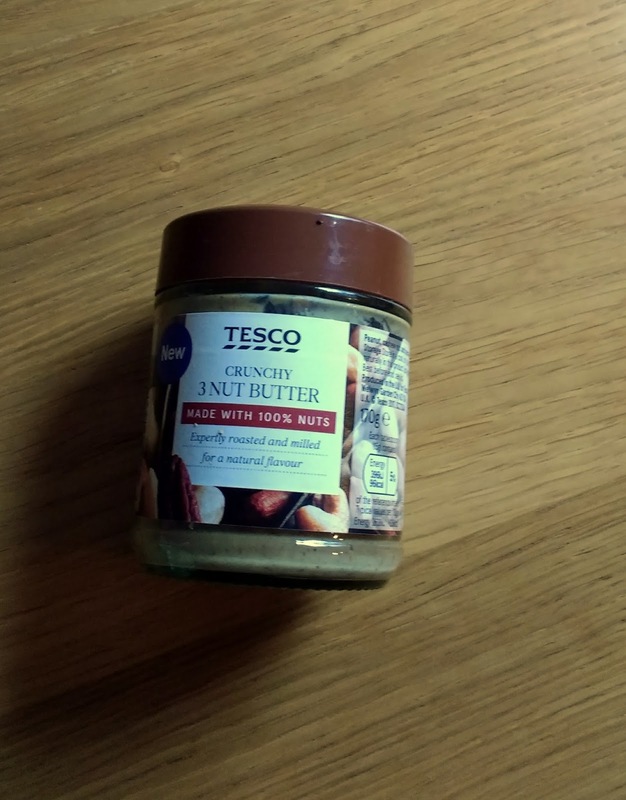 I haven't used nut butters in a while due to the price, so am pleased to see that Tesco are offering some at reasonable price - thanks for sharing. I don't like green tea much usually either, but the coconut one does seem a bit easier on the stomach. I'd call those mandarins too! The Leaping Lemurs would have me leaping to buy them except we try and avoid peanut products other than peanut butter! I have made chilli non carne with both bulgar wheat and buckwheat and enjoyed them both. And I am sure those rocky road bites would go down very well here. I have been trying to find that IN MY KITCHEN Link, thanks! 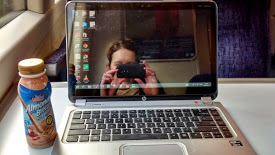 I did one today, too! I wouldn't know if they were mandarins, or clementines, or easy peelers, but I'm glad to see they're back. I'm with you on the dark before work and dark after work - not fun. Those rocky roads look great, and I've made a mental note to try buckwheat in my chilli too. Kari, your "light" hearted post was just what I needed this morning. :) (I'm still trying to adjust to the dreaded Daylight Saving Time switch, too.) Thanks for your quinoa breakfast porridge recipe -- that sounds like a great way to start the day, too!